In What Photography Is, James Elkins examines the strange and alluring power of photography in the same provocative and evocative manner that he explored oil painting in his best-selling What Painting Is. 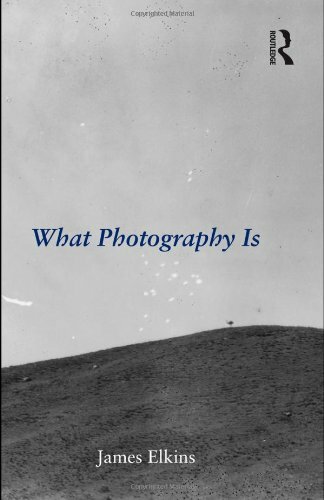 Elkins argues that photograpy is also about meaninglessnessa "its apparently endless capacity to show us things that we do not want or need to seea "and paina "extremely powerful images that can sear into our consciousness permanently. Extensively illustrated with a surprising range of images, Elkins demonstrates that what makes photography uniquely powerful is its ability to express the difficultya "physically, psychologically, emotionally, and aethsticallya "of the act of seeing.